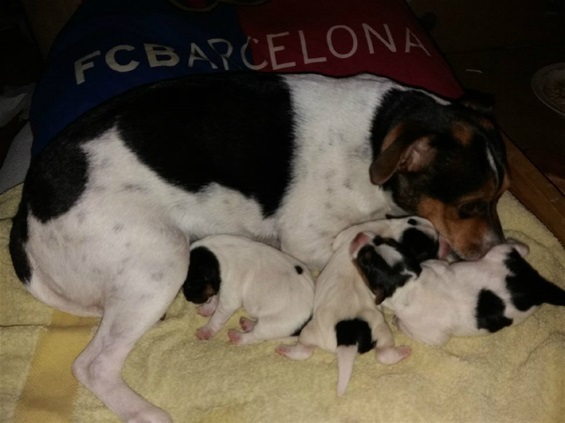 Here we are - all 3 puppies and the happy mother. 2 males and 1 female. She did everything herself. Look how big they are. This picture is taken when they are 1 day old and weigh 300 grams each.